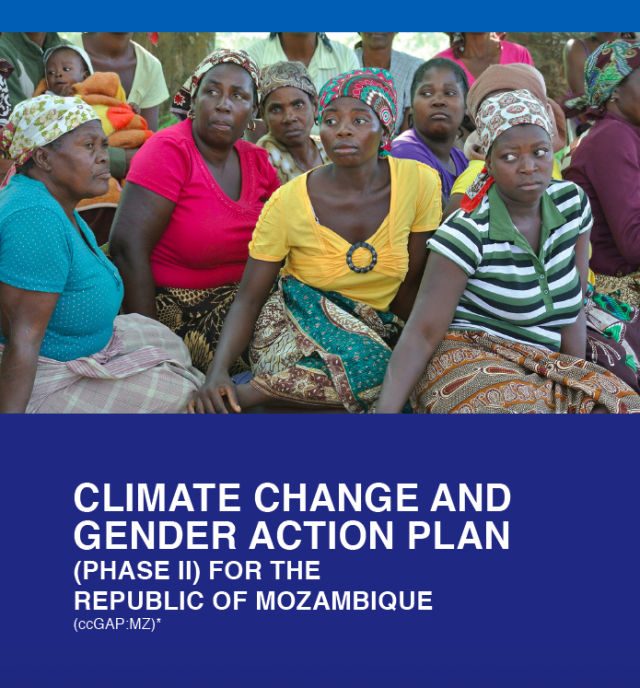 The Republic of Mozambique was a trailblazer on connecting issues of gender and climate change by pursuing a Gender, Environment and Climate Change Strategy and Action Plan in early 2010 – making Mozambique’s the first government in the world to create such a policy and program for implementation. The International Union for Conservation of Nature (IUCN), the oldest and largest environmental organization around the globe, was a supporting partner to UNIFEM(now UN Women) during that process. In 2013, the Global Gender Office of IUCN was pleased to be invited back to Mozambique to revisit and enhance the Action Plan portion of that 2010 Strategy.